Here are a few observations of past and current free societies and what I think about them. Keep in mind that I am in favor of all of them, so my criticisms are not in any way against them, just more so what I think are the challenges with them. Starting from the ground up, love it! This is basically a minarchy with a full constitution. It's basically early America, which is obviously a big improvement over anything we have. In Liberland, all taxes are optional. To make up the difference, the country plans to crowdfund and allow private enterprise to provide public services like water and energy. 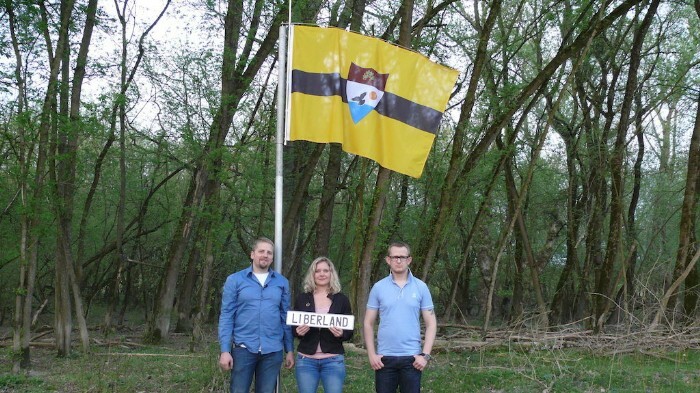 Liberland is attempting to use the homestead principle, which states that unclaimed and undeveloped land can be legally claimed by any group willing to develop it. The technical term is terra nullius. This is upsetting Croatia and that's a problem. I think if they were to pick up a little bit of momentum Croatia would do something to stop them unfortunately. I think it's great to see this kind of thing happening, but I think if you don't have bordering nations on your side from the start then you're going to face some big challenges at some point. I think it's a step forward but I doubt it will be allowed to last. I really hope for the best and support them 100%. The more I look into Seasteading the more I like it. I was originally a bit more reticent of Seasteading because it seemed really expensive to set up and sustain. And while this is still true, with Seasteading at least it has the least amount of unknowns. With Seasteading we at least know the approximate costs. So it's more a matter of whether or not we want to take the risk and go for it. Blueseed was a Seasteading operate that set out to raise $27 million to implement a Seasteading operation off the cost of Silicon Valley. They raised $9 million but failed to raise the remaining $18 million. So I wouldn't at all call this a failure. With this we are able to at least see that if we were to raise around $30 million we're at least in the ballpark of implementing a free society experiment. This is really good news to me because this really isn't that much money for what is being created. $30 million in a Seastead would go much further than $30 million in a Libertarian political campaign in my view. So I don't think Seasteading has at all failed. I think there are definite challenges. And that's why I like the land idea a bit more (purchasing land from another country). But in a way Seasteading may be a better way. It may be much easier to raise $30 million than to try to work a deal with another country. Plus, with Seasteading you're going to have much better location options. Off the coast of San Francisco or Los Angeles would seem like a much better location than some place in Africa, South America or Asia. I don't know the full costs of how much it would be to maintain or scale a location like this and that's why I've always thought Seasteading was a bit tricky. You're really putting up a lot of money for not a lot of land. So you have to make use of it vertically and rely entirely on importing resources (at least I think) as opposed to exporting resources. With purchasing land you may have better options for exporting resources, scaling and replicating the same model for lower costs. But I don't fully know. I mean, we have pretty good technology these days and who's to say we can't grow things in greenhouses on a Seastead? I think anything is possible. So like I was saying. I don't think Seasteading is at all dead or has failed. It's still really new. 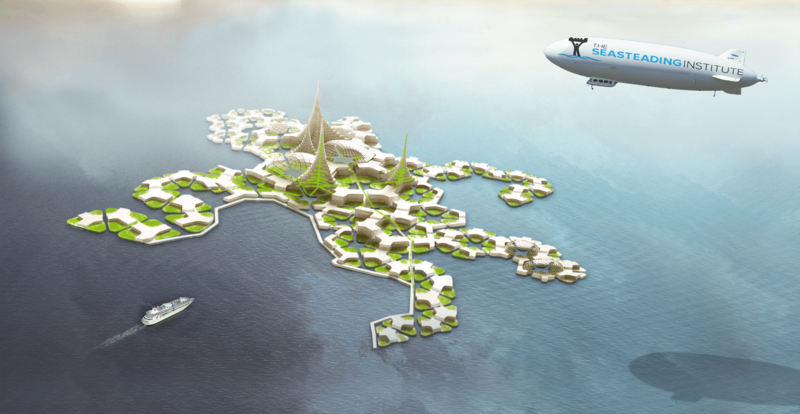 I think Seasteading, or at least the idea of creating competing cities, whether it be a Seastead or otherwise, is a life changing idea that will eventually catch on. At some point it's going to hit and become a big business, it's just a matter of when. Honduras is one of the poorest Latin American countries riddled with crime, corruption, gangs and violence. A US backed coup hailed in a new leader in 2009, Juan Hernandez, replacing the elected Zelaya. Hernandez, was the US choice as he would back a critical new concept, ZEDE. When the locals realized what the true concept meant to them, they took the case to the Supreme Court. Four of the five judges ruled against the ZEDE concept in favor of the people. Hernandez fired the four judges and replaced them with 4 new and approved ‘abiding ones’. And so the case for ZEDE was approved. Voila! I don't even know if this is serious or what the current state is of this project. Just check out the website: http://zede.gob.hn. It doesn't look legit to me. I suspect this is facing the same challenges Seasteading faces. It got initial momentum but when the actual work phase comes into play it starts to slow down. It's hard to actually push through to completion, and I suspect that's what's going on here. In an article I did find that it mentioned this was "financed by $40 million from the South Korean government" which I find interesting. I think if you're getting your money from another government you're not really doing anything unique. We need the money and energy behind something like this to come from people and businesses, not governments. 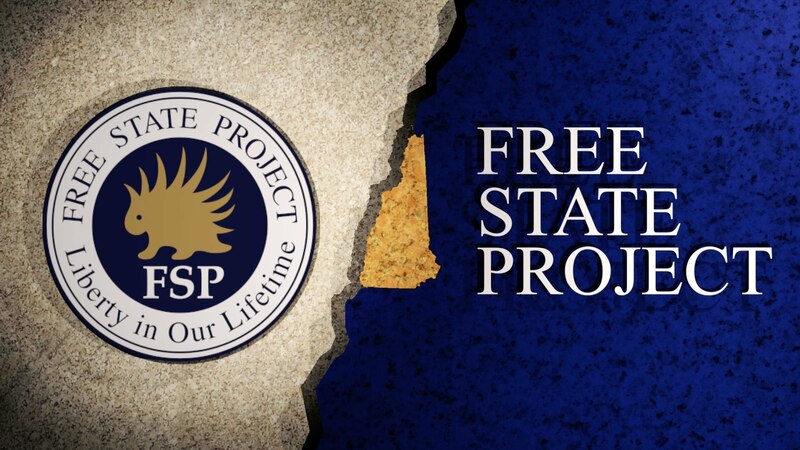 I think the Free State Project is great. I just don't think it's really changing the existing system. FSP is basically a bunch of Libertarians living with other Libertarians while still paying taxes and living in another country. So FSP is still part of a country and isn't it's own independent entity. This is the main problem with this. I think it's great. But I would rather focus my energy on solutions offering full independence to citizens. This is basically pointless because it doesn't scale into anything. Who cares if there is a small little location that is free? We need a way to scale a free society. This is just an unused Maunsell Sea Fort that people happened to claim. This is an apparition more than a focused solution. This doesn't even apply to what we are trying to accomplish. In November 2000, the GCWP made a proposal to the President of Suriname, offering $1.3 billion over three years for a 200-year lease of 3,500 acres (14 km2) of rural land plus "1 percent of the money the sovereign state's central bank puts into circulation" and the creation of 10,000 jobs. The UNHCR reported that, in July 2001, the island nation of Tuvalu rejected, after serious consideration, a proposal from the GCWP to create a "Vatican like sovereign city-state" near the international airport in exchange for a payment of $2 million per year. In 2002, the GCWP asked if they could set up their world headquarters on one hundred acres of land on the 33-square-mile (85 km2) island of Rota which is part of the Commonwealth of the Northern Mariana Islands, a commonwealth of the United States. The GCWP offered to contribute to economic growth of the country but Rota declined, preferring to remain part of the Commonwealth. In Costa Rica, officials of the GCWP "allegedly offered each family" on the Talamanca reservation, $250 per month for the right to appoint a king. A ceremony was held on the Talamanca reservation to appoint a local Indian as king of the community. Perceiving the GCWP's actions as efforts to establish an independent state the Security Minister ordered the GCWP representative to leave the country. There's a lot to gain from this. Especially if you're more into the land route, as I am. I think it is interesting there was a $1.3 billion offer and then a $2 million per year offer. To me these are complete opposites and shows in a way how out of touch with reality a lot of this is. 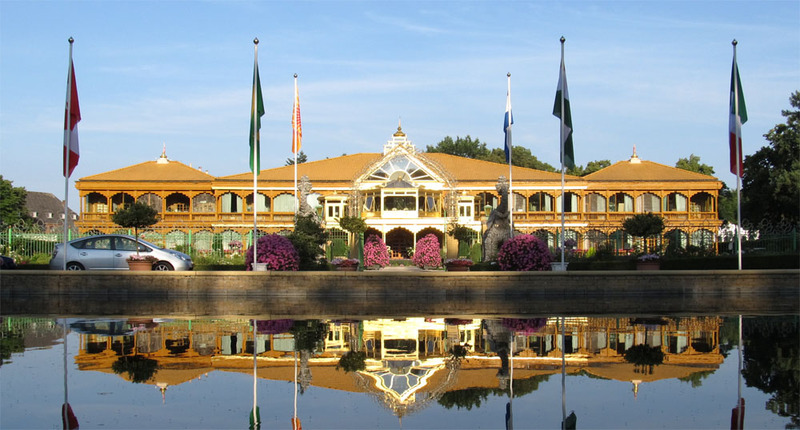 Why $1.3 billion for a 200 year purchase of land? That's insane. Of course they'd never raise the money anyway, but I suppose that's another story. And then we drop to $2 million per year in Tuvalu and according the Wikipedia they considered it. The $2 million per year is by far the way to go for something like this. This is actually really good news if something like this was considered and would be considered in the future. But this also shows the challenges with striking a deal with countries. It really has to make sense for another country to want to work with you. And you can't upset them. The ZEDE project in Honduras seems like it was much closer to actually pulling of a deal with a country than these ones. But it is interesting to see the responses GCWP received from these other nations. This will work because "algorithms"
I think the Venus Project is a disaster. It's basically technical communism. And you can't solve the problems of resource allocation with technology. You still need to have markets, the pricing mechanism, property, incentives, etc, etc. I don't think this would ever work profitably. When people talk about unrealistic Utopias this is what I think of. These people miss the whole economics thing completely. You have to have markets in my view. They want to centrally plan everything. Again, I still support it and think they should continue to go for it. I respect all experiments to non-violently create better societies. So go for it guys. There are lots of other earlier attempts from 1970 or so onward -- probably about 20 or so different attempts such as Republic of Minerva and Principality of Freedonia. The big problem with a lot of the earlier attempts are what you would suspect. Idealistic people came in naively thinking they could just claim ownership of an island or land somewhere and no other country would do anything about it. This is similar to somebody thinking they don't need to pay their taxes in the country they currently live in. You're just asking for trouble, even if you think you're right. People need to stop thinking that they can win on moral or rational ground. You can't. You need to win by playing with other countries. You can't piss them off. And doing these types of things upset them. So you need to find a way to make it mutually beneficial. Yes, the cards are stacked against you. That's life. Deal with it and come up with solutions. This is why I really like Seasteading because it doesn't seem to be upsetting anyone and because it isn't on land it uses Maritime law. It also mentions that in 2008 the revenue was $455.5 million and the expenses were $356.8 million. 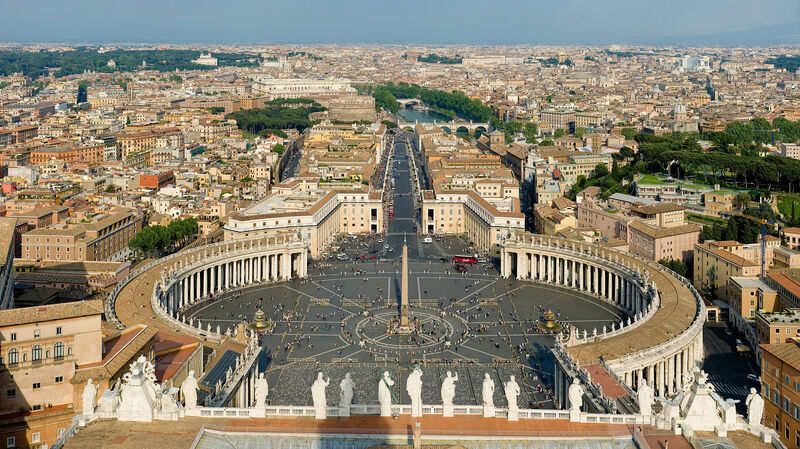 Vatican City is the smallest country in the world with a population under 1,000. The size of the country is 0.17 sq mi (0.44 km2). I think this is interesting to look at. Vatican City came about from the Lateran Treaty which was signed between them and Italy in 1929. So there are most certainly some things to gain from all this. It appears as though the free societies that just go for it without talking to other nations first eventually will be taken over with force from the nations they are using land from. I suspect Liberland will face these same challenges if it gains more momentum. It is pretty much going this route. The ones that actually do talk to other nations or take a more contractual route (ZEDE) face other challenges. You're working with other governments and still facing many of the challenges tied to that. Then you have something like Seasteading. They face economic challenges of raising actually funds and executing on it. I suspect the execution details haven't quite worked out for a lot of these Seastead projects and they decided to hold off. $20, $30 or $40 million is a ton of money and people aren't going to just throw that kind of money around without knowing they will at least make it back. It has to make sense and I suspect none of these do that yet. If they did people would be throwing money at it left and right. And I think this is a good, healthy challenge. I think it's a matter of time until a profitable way to do this is discovered. There's been a few spikes with media attention. But it's all still bubbling with no real growth. Nothing has really come in yet to supercharge that growth. But I think it will come at some point. These things take time. The best way to do it is obvious. We need a profitable way to make a free society. The first few societies probably won't be 100% free like most of us would like. But they're a start. And all they need to be is cheaper than the current governments we live in. They need to be profitable to the people who start them and they need to be cheaper than the current governments. If we can accomplish this then the whole world will transform very quickly. So we need to keep chipping away. As I spend more time in this subject I'm going to look more into the costs and see how expensive these types of things are. Does it make sense to Seastead? Does it make more sense to purchase land? Does it make more sense to do something else? I don't know. But this is the question we need to figure out. I know there's a way. We just need to find out how to make a profitable city that is better than the cities we currently have. Let me also add that the best businesses are the ones that are needed that don't have much competition. A free society is exactly that business. This is super needed, and nobody is doing it. Even if somebody does this pretty sloppy and hacked together they will still probably end up doing pretty well because they're not competing against any real competition. This is how it's been for me in some of the businesses I've been involved in. It is way easier to build a mediocre business in a necessary industry than a great business in a saturated industry. I really want to make Crowd Freedom the community behind all of this. All of these people and organizations want to create a new society in some way. We know we don't like how it currently is done and we want to do something better. We don't fully know the right way to go about it and maybe there isn't a right way. But we need some type of place to get together and communicate with each other and share ideas. I think we need a place to throw around ideas and build a non-physical platform around this concept first. I think we need a place to organize people and organize data around this idea, similar to how Facebook organizes data around socializing. A lot of these organizations come across like brochure sites and are static content. We don't want to be a brochure site. We need to work on building out a website to the needs of what a free society movement needs. I'm a pro at the Internet and can mold this site in whichever way is most conducive towards getting this discussion and organization going. It should act more as software than a flat community or informational site. So that's my hope with all this. If any of this interests you please sign up and start discussing these topics. With regards to building a city in the sea what do you think of small floating familial units that can be scaled and attached to one another in order to grow the city? This way it's easier to reduce startup costs and it can scale proportionately with the population. This is an idea that has been floating around in my head so in no way is it comprehensive. Quinton: I think this is a great idea. I think this is a great idea. I've seen some Seasteading designs that do exactly this. I agree that it would be a great way to scale and would make a lot of sense if going that route. Its a great idea but fresh water and sewage depending on how big you go could be a problem.Also.I would consult a maritime lawyer before you start building. The problem is the monetary system and economics. I think this is a great site with great ideas but misinformed or misdirected as regards setting up a new society, what we need to do realistically is to make the present system redundant. This is far easier to do than what has been proposed above. A cooperative model serves as the foundation with a few tweaks to make them expandable. Imagine something more along the lines of Mondragon in Spain. (Why was this not included in the above survey)? Quinton: Thanks for the response. Thanks for the response. Mondragon was not included because it's a business and not a country. I don't have a problem with co-ops and this model if that's what people want to do. I find that the majority of businesses are not co-ops because it is an inferior system insofar as innovating new products and providing cheaper prices for goods and services. I agree that the monetary system needs to change. My method would be to allow for competition with societies.